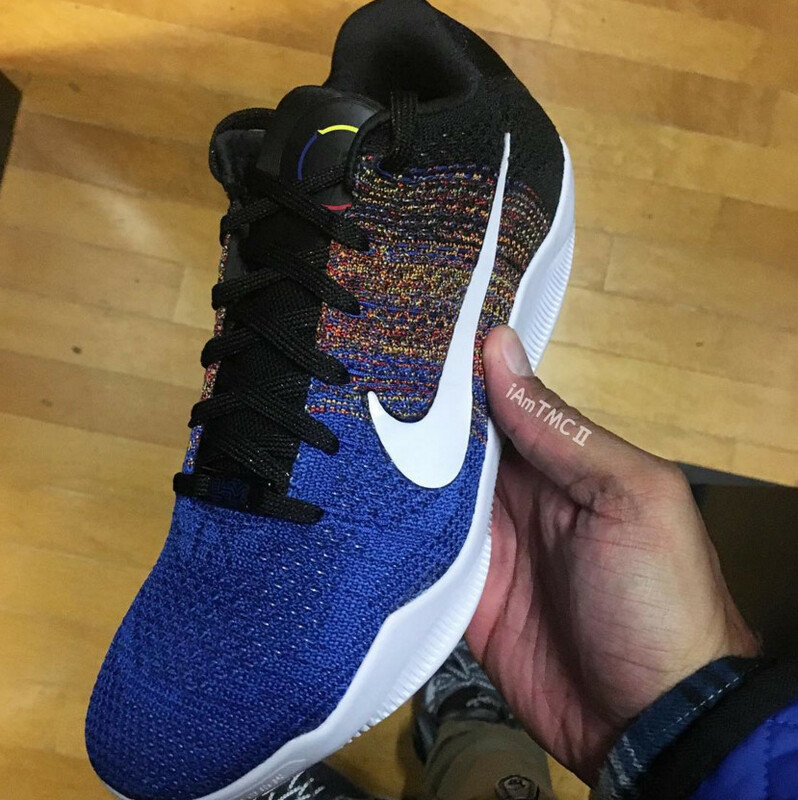 The "Black History Month" version of the Kobe 11 will be one of the first ones to take advantage of the celebrated multicolor Flyknit look. 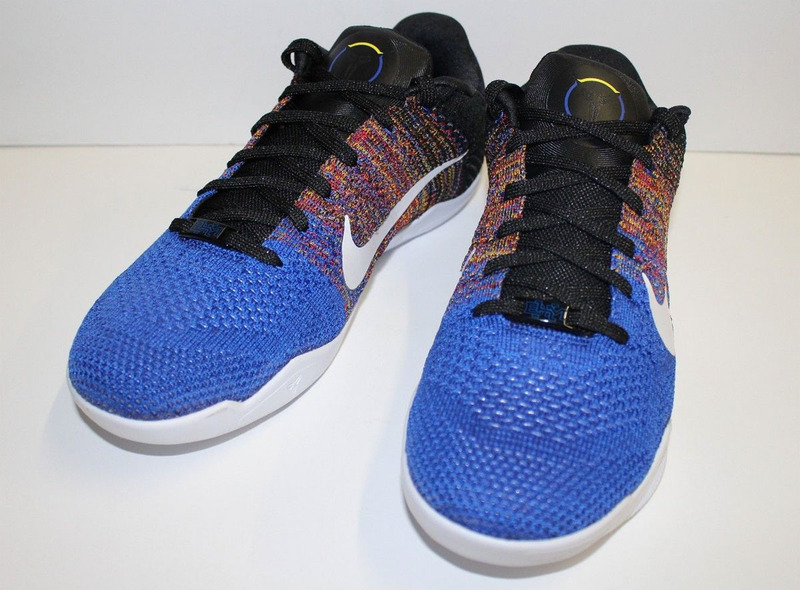 That being said, the sneaker doesn't go full on multicolor – instead it shifts to that look toward its middle. 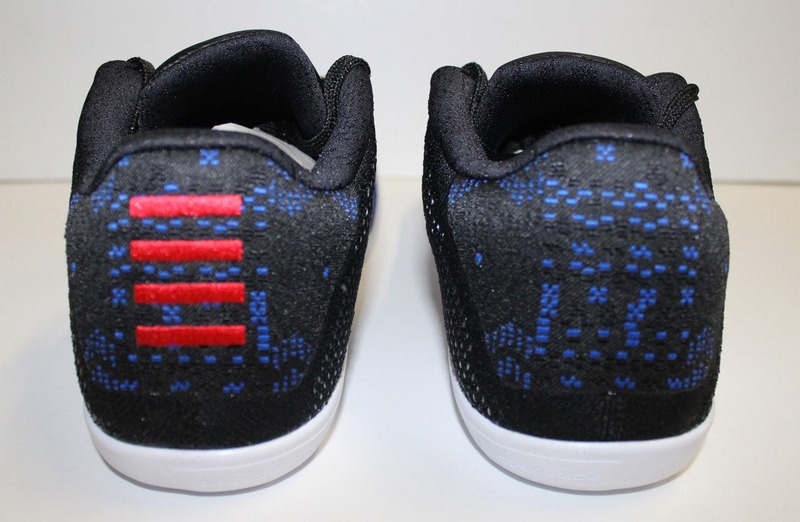 Elsewhere there's blue Flyknit up front, black on back and the collection's "Power of One" slogan on the insole. 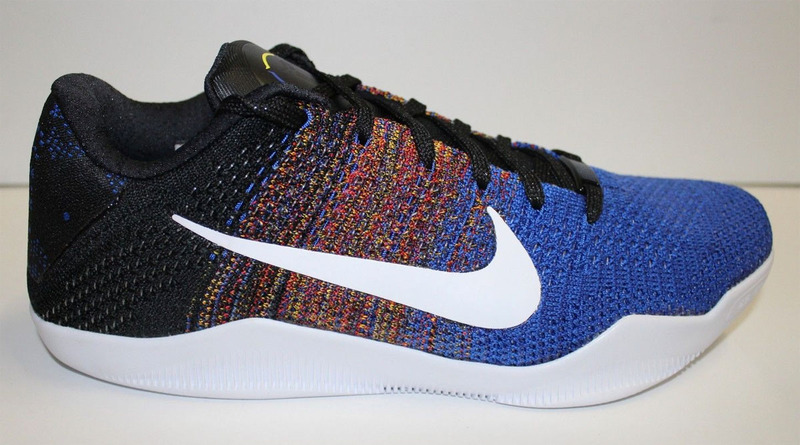 The sneaker release date for the "BHM" Kobe 11 is currently set for Jan. 16, although that is subject to change leading up to the shoe's arrival. 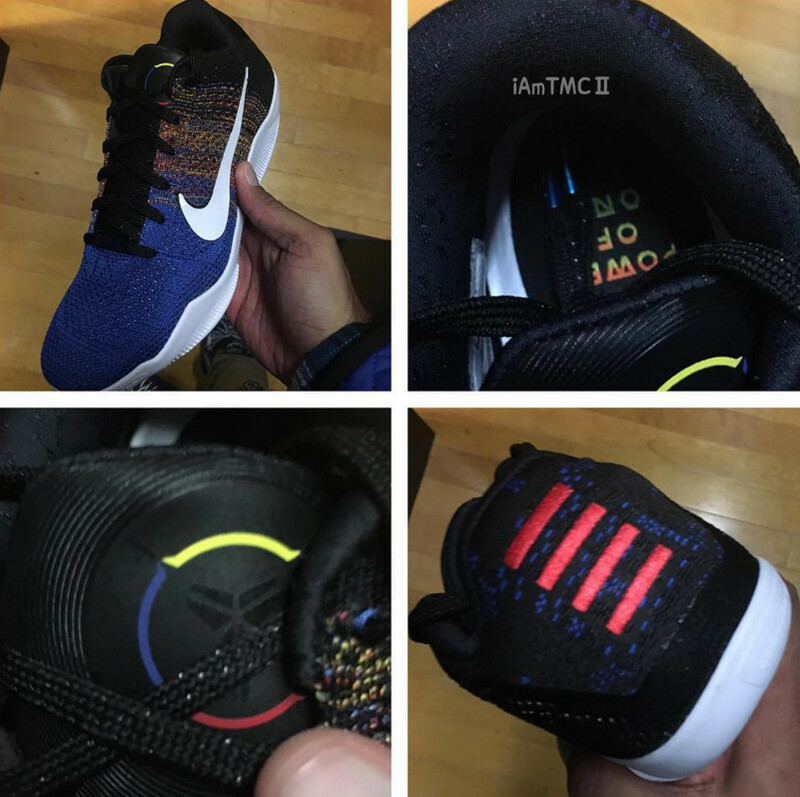 UPDATE 1/10: Another look at the Nike Kobe 11 BHM via eBay user shoeperstar7.